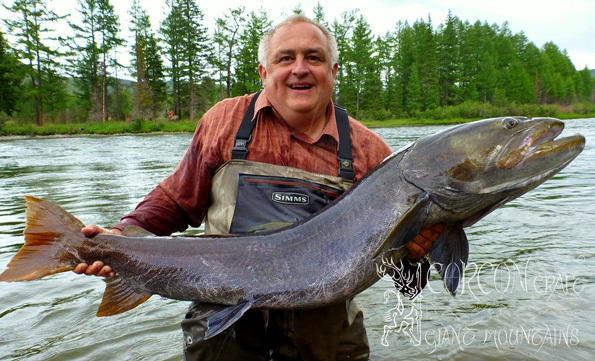 River Shishkid, July 2014 - Hucho Taimen 141 cm, aprox. 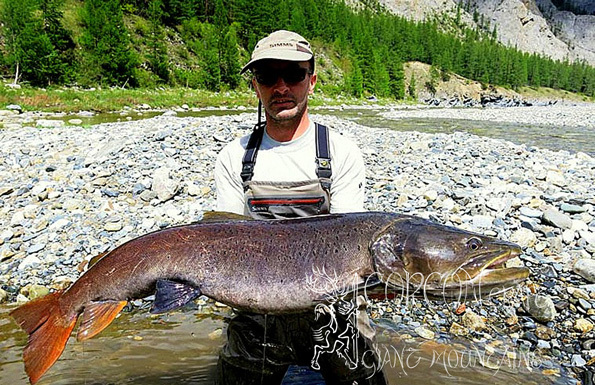 40 kg - Sportsman: Peter, Czech Rep.
River Delger Moron, June 2014 - Hucho Taimen 134 cm, aprox. 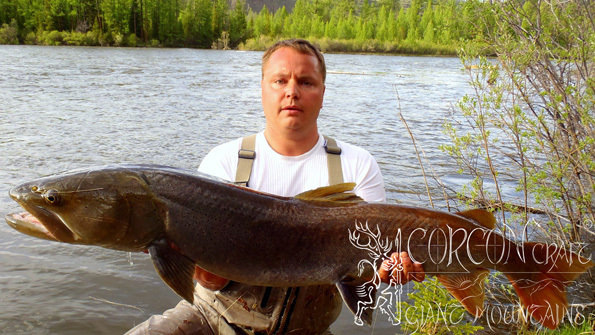 33 kg - Sportsman: Jaroslav, Slovak Rep.
River Shishkid, June 2014 - Hucho Taimen 137 cm, aprox. 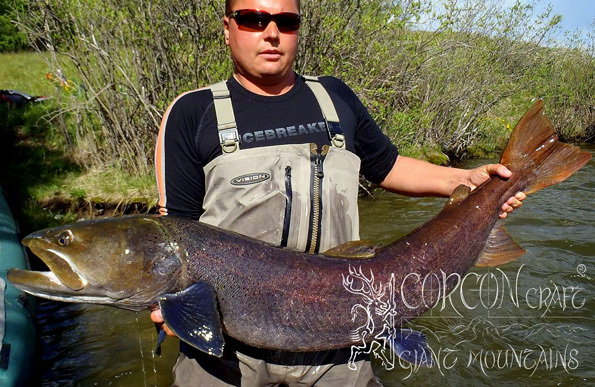 36 kg - Sportsman: Jirka, Czech Rep.
River Shishkid, June 2014 - Hucho Taimen 131 cm, aprox. 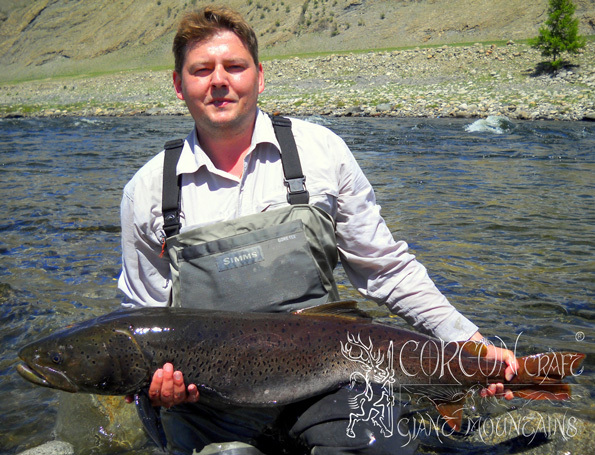 30 kg - Sportsman: Jaroslav, Slovak Rep.
River Delger Moron, June 2014 - Hucho Taimen 127 cm, aprox. 25 kg - Sportsman: Jiří, Czech Rep.
River Delger Moron, June 2014, - Hucho Taimen 125 cm, aprox. 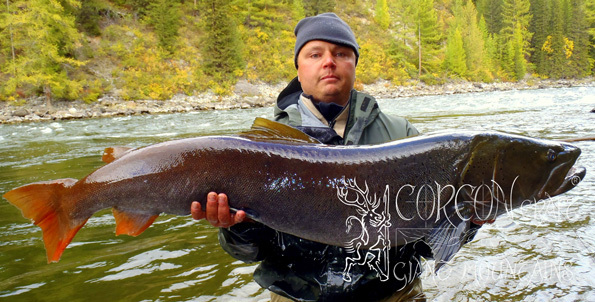 20 kg - Sportsman: Jura, Slovak Rep.
River Shishkid, Sept. 2013 - Hucho Taimen 137 cm, aprox. 36 kg - Sportsman: Jiří, Czech Rep. The spring season is a good preparation and warm-up each year, for our fly-fishing clients in particular, and a great opportunity for testing of new fishing tackle in our guide equipment on many good Taimen in prime condition. 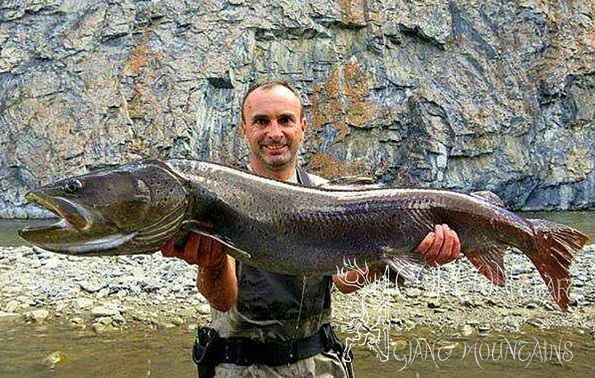 Serious Taimen fishing however, typically takes place during the longer fall season, the Indian Summer in Mongolia, when most of the giant Taimen specimen are landed and set back into the rivers each year.